Want to print your favourite Instagram snaps instantly? HP Sprocket can do! 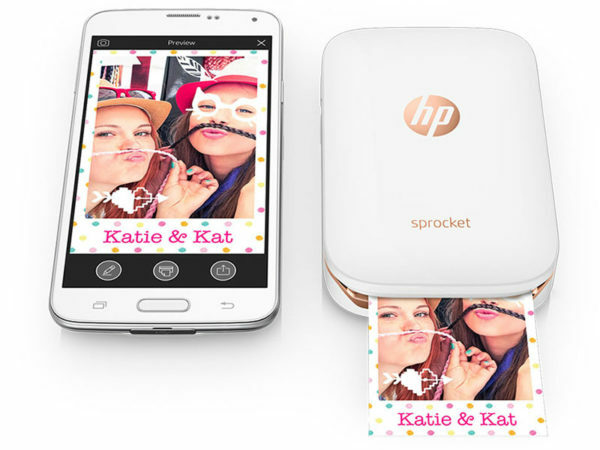 Combining my love of social media with my love for gadgetry, I give you the HP Sprocket photo printer. Not only a brilliant size for carrying in your bag, it meets the demand of printing much loved snaps from your Facebook feed for nanna’s fridge door, right there on the spot! No bigger than a mobile phone, the HP Sprocket photo printer prints photos from your phone camera roll, Facebook or Instagram account – no matter where you are, thanks to Bluetooth connectivity. All you need do is download the fun filled HP Sprocket app and get busy printing your memorable snapshots. Available in white or black, the HP Sprocket photo printer is priced $199 and includes 10 sheets of sticky backed photo paper. Additional HP Sprocket paper packs are available, priced $20 for 20 sheets. Available direct from Hewlett-Packard.